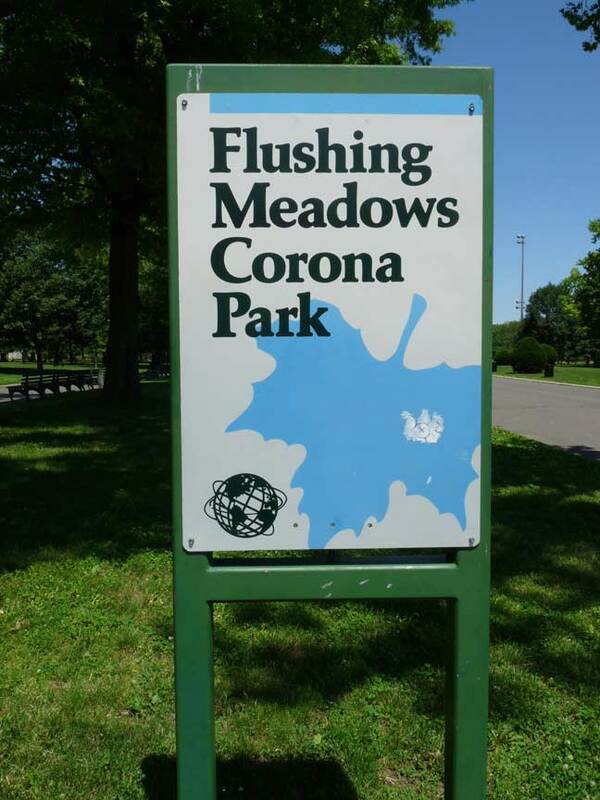 About 25 years ago, special signs were commissioned by the NYC Parks department for Flushing Meadows-Corona Park. Whereas other parks use squarish, brown signs with Palatino lettering and the leaf design in gold leaf, FMCP has a deluxe edition in multicolors. The (indeterminate) leaf and the Palatino font are still in place, but this is a vert thick variety of Palatino that I suspect is a computerized version and not the bold cut version (the serifs are thinner). That’s certainly a maple leaf on the Parks Dept. signs. Whether they are any particular kind of maple, I don’t know. But the cut signs identifying most parks look green to me, rather than brown. The font is very familiar and very 1970’s. 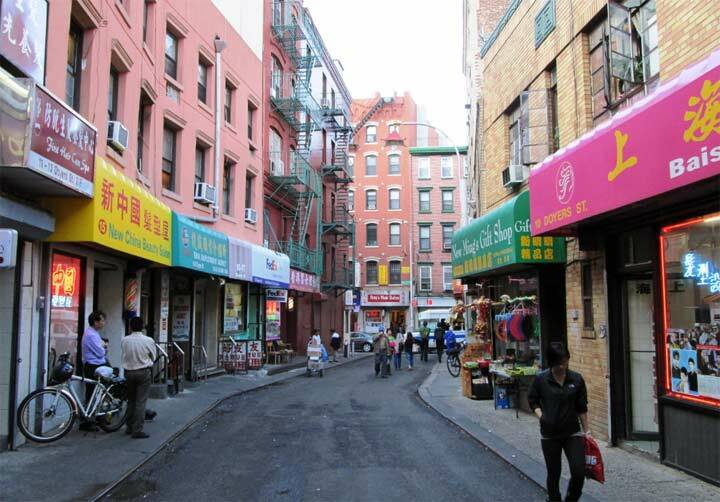 I seem to recall the Queens Tribune paper using something like it. I don’t recall any link earlier than the 70’s, and not as far back as the 64/65 fair. Kevin is correct that it is an “indeterminate” leaf–it is a little like a maple and a little like a sycamore, but even the Parks department does not know which—-and they designed it.